KidSpring is the children’s ministry at NewSpring. Watch this short video to see why kids love KidSpring and how we make learning about Jesus fun! 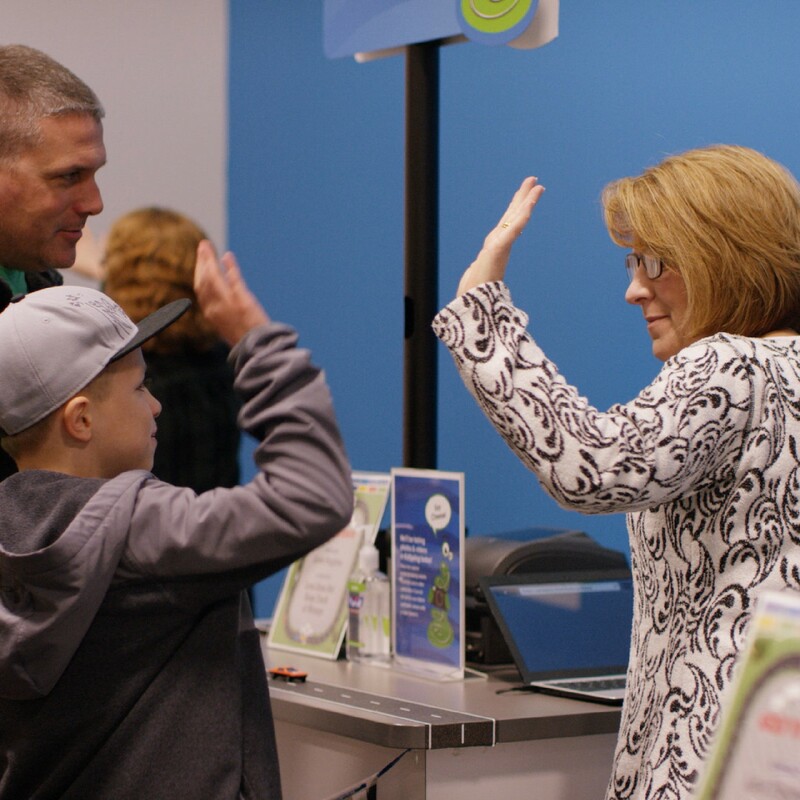 We would love for you and your family to visit KidSpring this Sunday. Join the fun, and experience a world where kids meet Jesus on their level! Play clothes are always welcome! KidSpring is a fun, active environment. Your kids will be playing, singing, and dancing as they learn about Jesus in small groups and large groups. If your family has any questions or would like to see what a KidSpring environment looks like, we would love to help! Fill out this form, and someone from your campus will be in touch! The moms' viewing room is a place where mothers with newborns (babies 12 weeks and younger) can watch the gathering together in a private environment. Every child matters to us and deserves to hear about Jesus on their level. In Spring Zone, children and young adults with special needs have buddies who meet them where they’re at and help them understand the good news that Jesus loves them. Want to get more involved in what your child is learning? Follow KidSpring on social media or download our app to keep up with each week's key takeaway and Bible story. Ready for your kids to sing and dance to their favorite songs all week long? Get this two-disc album, featuring 27 songs including, “Full of Armor of God,” “Fruit of the Spirit,” “What’s Right,” and “Promise Keeper.” Whether your kids are in preschool or elementary, they’ll love learning about Jesus as they sing. See what happens each week in KidSpring by following us on social media!